The Academy of Motion Picture Arts and Sciences gained almost 140 voting members over the past year, with the total number eligible to vote for the 88th Academy Awards now standing at 6,261. The total comes from an official branch count prepared by the Academy on Dec. 14 for Oscars voting that begins on Dec. 30. Last year, 6,124 members were eligible to vote. The Academy extended membership invitations to a record 322 people in June, but that influx is partly counterbalanced by members who have died or taken non-voting, retired status. The memoriam page of the AMPAS website lists 77 members who died in 2015. Most of the Academy’s 17 branches experienced a slight rise in membership since early December 2014, when last year’s branch count was prepared for the 87th Oscars voting. Only two branches have a smaller membership than they did a year ago, and they are the two largest branches. The Actors Branch, the largest in AMPAS, fell for the third consecutive year. It dropped by 12 members, from 1,150 to 1,138, though it still has more than twice as many members as the next largest branch. That branch, the Producers Branch dropped by two, from 485 to 483. The Visual Effects Branch experienced the largest increase, jumping by 19 members, from 340 to 359. Other branches that saw double-digit increases were Film Editors, up by 18; Documentary, which increased by 15; Music and Short Films and Feature Animation, each of which increased by 13; Directors, which grew by 12; and Casting Directors and Public Relations, which increased by 10 each. The Cinematographers, Costume Designers, Designers, Executives, Makeup Artists and Hairstylists, Public Relations, Sound and Writers branches all increased between one and nine members. The number of non-voting Associate Members rose by seven, to 175, while the number of retired members rose from 669 to 716. The total number of members, voting, retired and associate, rose above the 7,000 mark, increasing from 6,961 to 7,152. 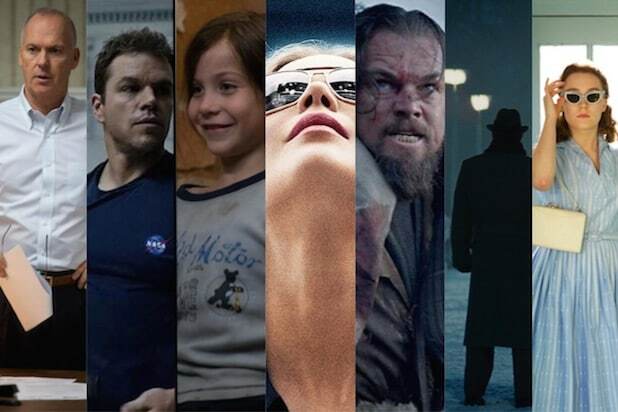 Oscars nominations will be announced on Jan. 14, 2016, with the 88th Academy Awards taking place on Sunday, Feb. 28.